The Online Investment Property Exchange Propex has been instructed to invite interested parties to submit written proposals in October 2018 regarding the large Boots Retail Warehouse in Falcon Lane. In their brochure they highlight a potential for residential development with an example of 5 blocks of up to 11 storeys cramped on the site. 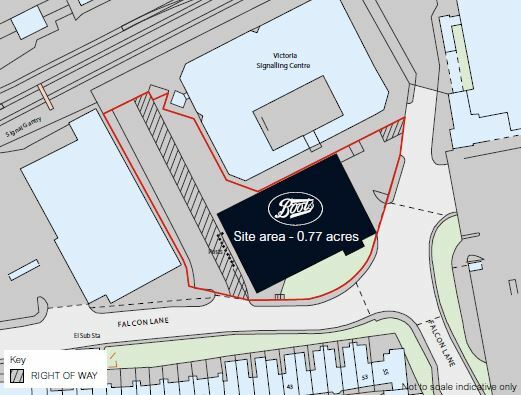 Boots Clapham Junction occupies a 0.77 acre site situated on Falcon Lane situated a few metres to the east of Clapham Junction railway station (where Network Rail has got ambitious plans for redevelopment). The site is bounded by Lidl to the west, which is still awaiting for its redevelopment (permit has been granted in September 2017), and Asda to the east. Planning permission for the erection of a single storey retail unit was originally granted in March 1998 (ref. N/98/0041). The property is let to Boots UK Limited on a 25-year Fully Repairing and Insuring lease from 7th May 1999 until 6th May 2024. The rent passing is £370,000 per annum, which reflects a headline rent of £33.50 per sq ft. The rent is subject to five yearly upwards only rent reviews. The next review being on 7th May 2019. 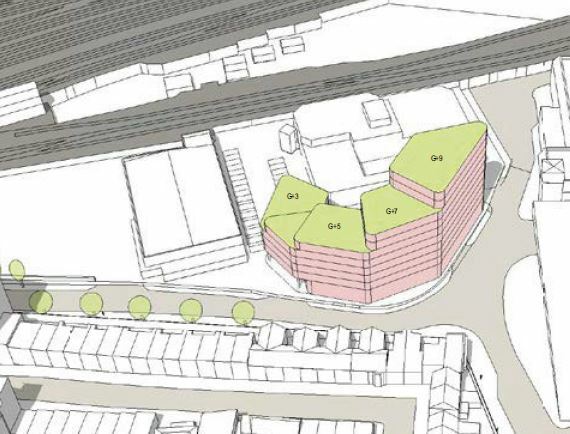 According to the Propex brochure, the Boots site has significant potential for medium term redevelopment to residential use (subject to the necessary consents) and represents an excellent opportunity to create a high-quality scheme in an area within Clapham [Junction -sic] that has been earmarked for redevelopment. 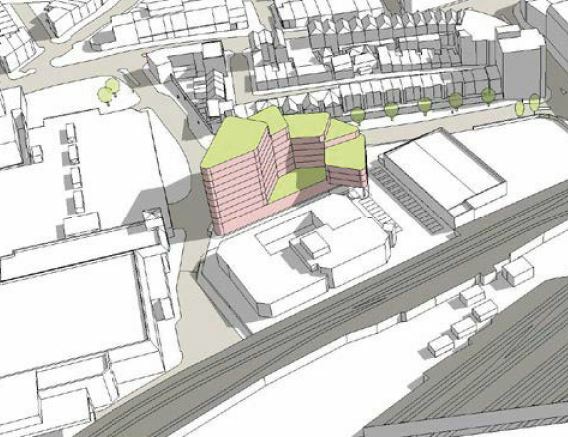 Whilst the site is capable of being developed in isolation, it also represents a key piece of a larger masterplan [the site is part of the document released by network rail regarding the redevelopment of the Clapham Junction station area]. A preliminary high-level feasibility and massing study (dated October 2016) identifies an indicative multi-level residential scheme with additional ground floor retail space. The pictures released in the document show 5 buildings from 5 to 11 storeys (ground G = 2 levels) with a maximum use of the footprint. The massing of the buildings (with no setback from the street and removal from all trees) will have great impact on the nearby properties. Property form Knight Frank are instructed to seek offers in excess of £8,700,000 (Eight Million, Seven Hundred Thousand Pounds), subject to contract and exclusive of VAT, which reflects a net initial yield of 4.00% allowing for purchasers costs of 6.70%.